In this post I would like to publish the details of the Naga Dosha Pooja performed at Kukke Subramanya Temple located in Karnataka. 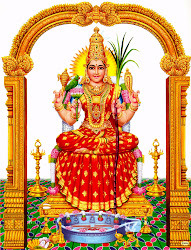 Naga Dosha Pooja includes Sarpa Samskara Pooja, Aslesha Bali Pooja, NagaPrathista. Kukke Subramanya Swamy temple is in Sulia Taluk of Dakshina Kannada District, Karnataka. It is one of the ancient pilgrimage locations in India. Adi Sankaracharya also visited this place and referred this place as “BHAJE KUKKE LINGAM” in his “Subramanya Bhujangaprayata Stotram”. It is surrounded by forest, mountains and rivers. On the way you can see many water falls, It is safe to travel during day time. On one side of the road u can see a river flowing. Buses are available from Bangalore, Manglore and Dharma kshetra. Dharma kshetra is 54kms from Kukke. According to puranas, after killing the demon rulers, Tharaka, Shurapadmasura and their followers, Lord Subrahmanya reached Kumara Parvatha with his brother Vinayaka and others. He was received by Lord Indra and his followers. Lord Indra prayed Lord Subrahmanya to marry his daughter Devasena. Lord Subrahmanya agreed for the marriage. The divine marriage took place on MARGASIRA SHUDHA SHASHTI for which Lord Siva, Brahma,Vishnu were also present. Before Subramanya, the Serpent King, Vasuki used to stay here in in a large cave which is called as BILADWARA. 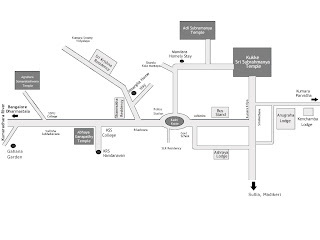 It’s near ABAYA VINAYAKA TEMPLE (can see in the map given below). According to the Skandapurana, Garuda was once hunting for snakes and came across Vasuki hiding in Biladwara. Striking Vasuki with his mighty wings Garuda tried to kill him.Garuda became dazed by the poisonous flames emitting from Vasuki’s mouth. As they fought, the great sage Kasyapa Muni appeared and requested Garuda to leave Vasuki, who is a great devotee of Lord Siva. Garuda told the sage that he has no food from many days. Kasyapa told him to go to the Ramanaka Islands where snakes are available in plenty. Immediately Garuda went there and satisfied his hunger. Kasyapa muni told Vasuki to go to Kumara Kshetra in Sahayadri mountains and pray to Lord Siva, you will never be bothered by Garuda again.Vasuki went to Kumara Parvatha and got the blessings of Lord Siva. Lord Siva told Vasuki that he will be blessed by his son Subrahmanya who will come here in next Kalpa and he will remain by his side. Lord Subrahmanya came to Kumara Parvatha after killing Taraka and gave darshan to Vasuki and blessed him that he will stay with him(Vasuki) in this place forever. Hence the poojas offered to Vasuki or Nagaraja are nothing but the poojas to Lord Subramanya. This holy river(Kumaradhra) originates from Kumara Parvatha. As the river flows through the rocks and thick forest area. It is believed that all skin diseases will be cured by taking bath in this river. Every pilgrim is advised to take bath in this river before they enter the temple. Take care while taking bath, best to carry a tumbler with you. Or tumblers are available in the near by shops. In Treta Yuga, Lord Parasurama came to this place and took bath in this river to relieve himself for the sins of exterminating the Kshatriya's. In Dwapara Yuga Samba, son of Lord Krishna who was cursed to suffer from leprosy came to take bath here. By applying the mud from the riverbank over his body and bathing in the river he got cured from Leprosy. This is the main Subrahmanya Temple. You should take off your shirts while going in to this temple. Here you can see five headed Lord Subrahmanya Swamy, Vasuki ,and Adisesha (from top to bottom) in a single idol. There is a Garuda pillar covered with silver, in front of the main deity to protect the devotees from the poisonous flames of Serpent Vasuki.Around 12 noon elephant is brought near inner entrance of the temple (near Nagaprathista Mandapam) and prays Lord Subrahmanya, Many people will gather to see this. It is better to be there much earlier as you can’t see this clearly if you are late. Be near the Nagaprathista Mandapam before the crowd gathers. Sarpa Samskara Pooja is done to get rid of the Naga Dosham which we got by killing a snake. Sarpa Samskara Pooja is done for two days, so you have to stay there for two days. The pooja ticket is 2500 Rs, Nagaprathista is also included in it. You have to book the ticket one month in advance by sending a DD along with a letter mentioning the date you want to perform the pooja. Mention two more optional dates also. One ticket is enough for one family. Four members are allowed on one ticket. This pooja is done in Sarpa Samskara building which is in the park near Adi Subrahmanya temple. You have to sit according to your ticket numbers. Un married people who wanted to perform this pooja can sit beside their parents and they will do on behalf of him. There will be a priest for every one. He will perform the whole ritual. 1. First take a bath in Kumaradhara River. 2. Don’t take breakfast on the first day of the pooja. 3. Don’t go into the main temple until you complete your second day pooja. 4. You should not have food outside (any restaurant). Food arrangements are made by the temple authorities for those who participate in this pooja. 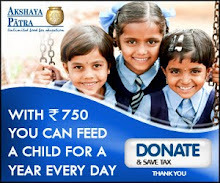 Food will be provided in the dining hall near Adi Subrahmanya temple. 5. Take care of your belongings during the pooja. Some of them have lost their valuables. Our priest has been warning us continuously. 1. Take a bath in the Kumaradhara River. Go to darshan in Adi Subrahmanya temple. Afterwards goto Sarpasamskara building and be ready by 8.30 A.M. Male devoties should remove shirts, and should wear dhoti. Sit by your numbers . Numbers won’t be in order. 2. Near every number you will find a snake idol, 2 snakes made of wheat flour, one white towel and Flowers necessary for the pooja. You have to just go and sit there. Preist allotted to you will come to you. 3. Preist will take white towel from your and he will wear it. 4. There will be four Homa Kundas on the dais for four directions and there will be four main preists,four for four directions. 5. Main preist will tell Samkalpa and he will explain the importance of the pooja and how it is performed. You will be given Theertham. 6. Main preist will start the Homam and your preist will take one snake from pooja and wrap in a cloth and he will place it in the Homa Kundam. So, this indicates that Dahana Samskara of the snake which you killed is over. 7. Another snake made of wheat dough is taken by the preist and they will leave it some where out side. It is believed that, as that snake’s family grows on, our generations and our family also will be flourishing. This will complete your pooja on the first day. 8. Go to your room and take bath and change your clothes. Come to the dining hall in Adi Subrahmanya temple premises and have your lunch. You will be given Rice, Sambar, Rasam, Butter Milk. 9. As you participated in Dahana Samskara you should not enter in to the temple on that day. I think you should not go in to the Adi Subrahmanya temple also after the pooja. 10. 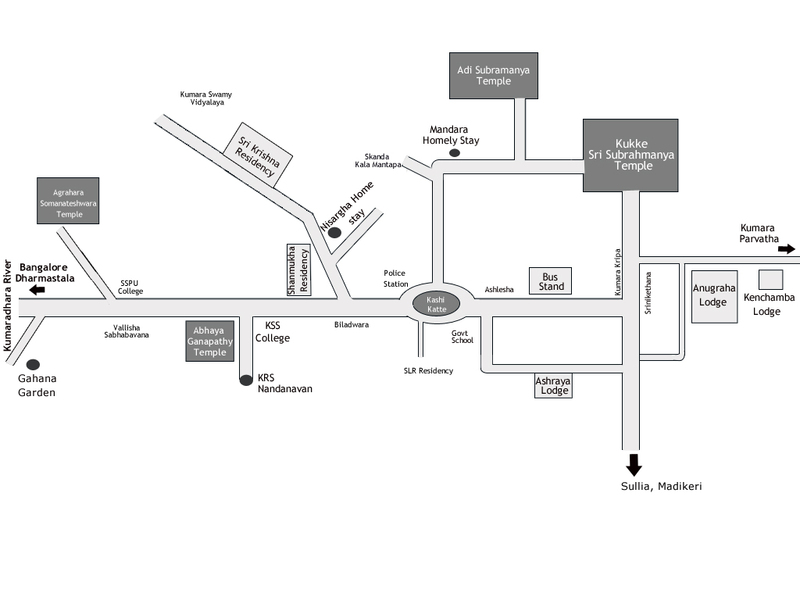 Evening you can do Pradakshinas around the Adi Subrahmanya temple(outside only) . 11. Dinner is forbidden. Tiffin will be provided by the temple at 6.30 P.M. Be there by 6.30 P.M.
On second day we are asked to report by quarter to 6 A.M as pooja starts by 6A.M sharp. 1. All arrangements are made by the preists on the first day evening itself. 2. Go and sit in your places, where you performed your first day’s pooja. Same preist will attend. 3. Now you can see a snake rangoli filled with Turmeric powder and Kumkum, snake idol and Pindas . 4. On the first day, you completed Dhahanakanda Of the snake killed by you. Now you have to do Pindapradana. The whole ritual is done by the preist itself you need not do anything. 5. After the pooja preist will take the Pindas, and leave them outside. I think Pindas are also made of wheat flour. Now pooja is completed. 6. You will be called to take blessings of the main preist. 7. Now GO PUJA is done outside the hall by the main preist and you have to do Pradakshinas to the cow. You can do it while you are leaving after you complete Brahmachari Pooja also. 8. Now Brahmacharis will come into the hall. They will sit according to their age. Though dakshina is included in the ticket itself, you can see every one offering dhakshina to them and touching their feet. 9. Breakfast will be arranged by the temple itself. Go for the breakfast after the completion of the pooja. Milk, Coffee, Tea are also offered. 10. At 12p.m you have to attend for Nagaprathista. It will be done at Nagaprathista Mandapam, in premises of the main temple .GET SANKALPAM DONE AT SANKALPA MANDIR. It is better to be there at the earliest as crowd gathers there to see elephant praying Lord Subrahmanya. Meanwhile if you are interested you can do other poojas available depending upon the time. We went for Aslesha Bali pooja . 11. They will give you one full coconut and one half coconut and small sticks in the prasadam cover. We were told to keep those sticks in our pooja room and not to eat onion until we eat the sweet prepared by using those coconuts. As it takes 2 days to reach our place we were told to eat half coconut before eating outside. POOJAS ARE NOT DONE ON DHASHAMI, FASTING DAYS LIKE EKADASI, SHIVARATRI, ASTAMI, ECPLISE DAYS, AND FIFTEEN DAYS DURING ANNUAL FESTIVAL. JUST FIND OUT BEFORE PLANNING THE TRIP. Aslesha Bali pooja if performed on Aslesha Nakshatra, will give good results. It is believed that when performed on other days it won,t have power. In Kukke this pooja is performed in two shifts. Ticket for this pooja is 400Rs. You can get them in the counter. GOTO SANKALPA MANDIR IN THE MAIN TEMPLE AND GET SANKALPAM DONE BY ANY OF THE PREISTS AVAIALABLE THERE. After Sankalpa go to the Aslesha Bali pooja. Rangoli of a snake is drawn and Pindas made of rice are offered. We couldn’t see anything as so many people gathered there. Here also you are given cover of full coconut as prasadam. Prepare sweet using this coconut and don’t eat food or curry made using onion until you eat that coconut. Ticket for NagaPrathista is 400Rs. Ticket should be obtained before 10 A.M. It is done near NagaPrathista Mandapam after MahaaPooja in the main temple. Ticket is given at the counter. Preist will come and do Abishekam with water to the idol of the snake. Small Square shaped stones on which snake are carved are kept in pooja and after pooja you are given Prasadam. For marriage, Santhanaprapthi, Employment, and relief from chronic skin diseases and various problems, Prathana is performed after MahaPooja either at 12-20P.M or 7.30P.m. Devotees are required to obtain receipt from the Seva counter. Better find out the exact time. Those who are suffering from Nagadosha will offer snakes idols which are made of silver in the hundi. They are available in the shops, small one costs around 50rs. Different organs shapes are made in silver, depending upon our problem we can offer them. For skin diseases you can offer skin shape made of silver it costs around 20Rs. that was really a helpful information thank u. but can u plz tell that what men should wear for entering the temple if we are not performing sarpa samakara pooja. If you are not performing Sarpa Samskara pooja you can go with trouser.You need to remove your shirt before entering the temple. I have anantha naga dosha, can i go for sarpa samskara pooja. Hi could you please tell me the pumas that are to be performed to get married and getting children if the person has Kuja Dosha. Very happy to see this post, but I am not able to get contact details of kukke subramanya, the once available on kukke subramanya website is not reacheable. Can some body pls provide me the contact details also, is it possible for you to guide if the horoscope reading can be done in kukke subramanya and is it mandane to go personally for horoscope reading also or is it possible on phone. This would be really helpful as I am trying really hard to find the contact details. I have done with Sarpa Samskara Pooja - Im a non vegeterian. Can I please know whther there is a restriction that our family should not have non veg for certain duration or not. our purohit said we can eat food made using onoins after eating the prasada given. They will give you one full coconut and one half coconut and small sticks in the prasadam cover. We were told to keep those sticks in our pooja room and not to eat onion until we eat the sweet prepared by using those coconuts. As it takes 2 days to reach our place we were told to eat half coconut before eating outside.he did not tell us to stop eating non-veg .i think we can eatnon-veg after eating the prasadam . I need to perform Rahu ketu shanthi puja, please let me know can it be done in Kukke, if so please suggest me which of the below puja's i need to select. Appreciate your assitence. 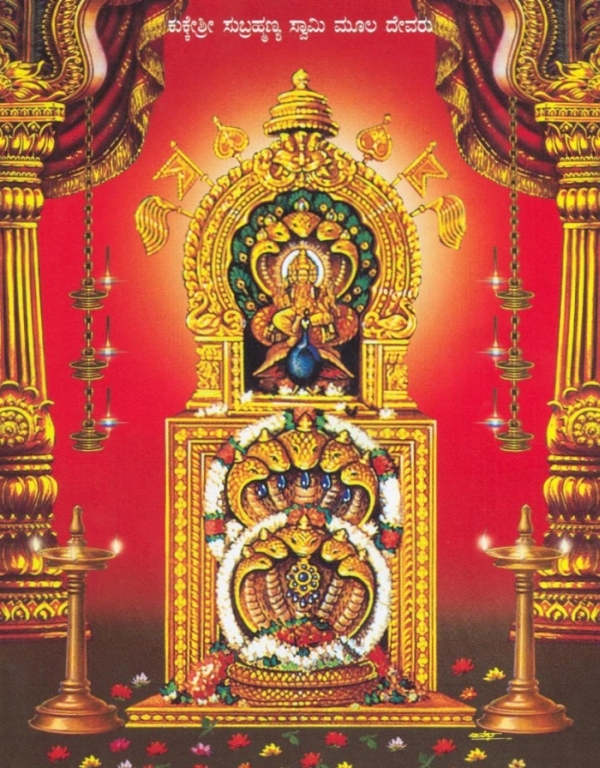 rahu ketu pooja can be done in kuke subramanya temple ? Hi.. for KUJA DOSHA parihara which pooja should be performed out of d 3 u mentioned? i think sarpa samskara pooja ,nagaprathista is also included in this pooja.during the pooja they told us it is a pariharam for kuja dosham,naga dosham . As far as i know there is no rahu ketu pooja in specific sarpasamskara,aslesha nagabali,nagaprathista poojas are the main poojas done there .sarpa samskara pooja can be performed to remove nagadosham. I have performed ashlesha bali and nagapratishtapane poojas in kukke subramanya temple as someone told me i have kuja dosha i.e mars in 7th place.After my wedding was fixed i performed the pooja and nw I am happily married...bt still there is a kind of tension in my mind.Can you please tell me whether those poojas are fine or else I am supposed to perform any other pooja.I would be very much thankful to you if you help me out with this. can women wear kurta salwaar during pooja or shud we wear saree,is there any restriction? also we will be reaching kukke early monrning around 5 am on the pooja day.so shud we have bath at kumaradhara river before we reach temple or can we come to the temple accomodated room then go to river to take bath?will it be a problem for women to take bath in the river? Every pilgrim is adviced to take bath in this river before they enter the temple.Kumaradhara river flows very fastly so don't get down into the river. You can also hear announcements not to get down into the river. I think it is best to take bath in the room first and then go to the river and pour water on you (from head to toe) by using tumblers and then change the clothes again. Some arrangements are made for women to change clothes. Don’t take breakfast on the first day of the Pooja. Thank you Neelima, I want to know, if how I can get to know if I have any sarpa dosha or not. I heard that once you get to the temple and consult the head priest they will ask you some questions and then tell you if you have the dosha or not. Please tell me if this is right and if so what questions will the head priest ask, so, I could have all the information that could be asked. sorry,i don't know about the questions . Is there any restriction in having food after we finish sarpa sanskara? May be having veg or non veg after 3rd day once we finish pooja. They will give you one full coconut and one half coconut and small sticks in the prasadam cover. We were told to keep those sticks in our pooja room and not to eat any item made of onion until we eat the sweet prepared by using those coconuts. As it takes 2 days to reach our place we were told to eat half coconut before eating outside. hai neelima can u please tell me how to book ticket for kaala sarpadosha for male who is unmarried. now we can book tickets for sarpa samskara pooja through online seva booking .go through the link given below. Hai i am Maruthi, i am planning to come kukke subramanya swamy temple for Sarpa Samskara pooja with my uncle and frnds, but my uncle told we shuld take DD first later they will mention the date for pooja based on astrology, can u help, whether group members can do this pooja at same days or not. .sarpa smaskara pooja is done on all days except on dhasami,ekadasi,astami ,eclipse,shivaratri and 15 days during annual festival . prior booking is compulsory for sarpa samskara pooja. Thank you so much for posting such useful information and replying to the queries.It indeed saves so much time and money.I want to know the remedies you can follow for kalasarpa dosha pooja instead of performing so many poojas at temples.As you mentioned about the mulugu ramalingashewar prasad garu for women. Can anyone suggest if i can perform ashlesha bali first and the sarpasamskara on the second and thrid day. Because ashlesha bali is suggested for myself and sapasamskara for my brother. should my parents and my wife should be present for ashlesha bali and saprasamskara. I've been told to do RahuKetu pooja at Sri Kalahasthi Temple during Rahukalam by two astrologers with two different days one's Wednesday and others on Saturday! From your best knowledge could you please advice which day is best to do that pooja. can you help me to know if sarpa samskara seva is performed by a couple only or a single individual can perform. i am a female, unmarried. can i do this pooja??? When naga prathistha puja gets over by on second day puja of kal sarp?? Regardless, I'm definitely happy I found it and I'll be bookmarking it and checking back frequently!